Sagi was quick and powerful and blessed with supremely sublime skills. He and Paulino Alcántara formed an extraordinary left-hand side of the team in the Golden Age, where they played alongside the likes of Plattkó, Sancho, Piera and Samitier. 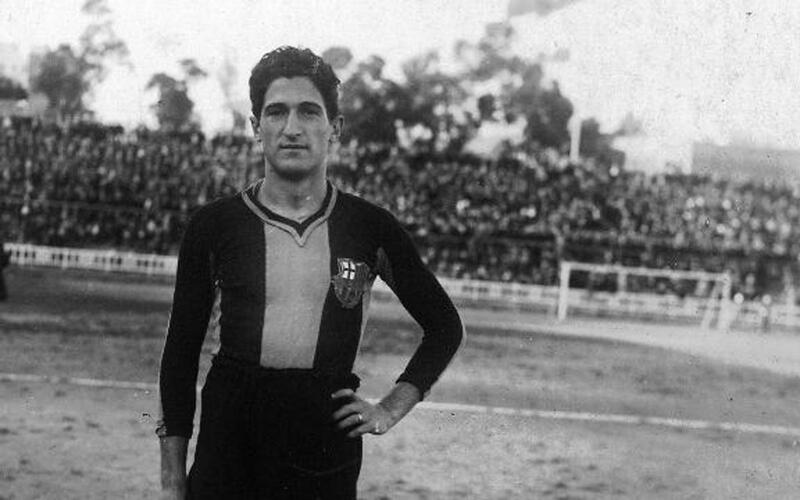 Nobody could cross the ball like he could and he was also Barça’s first ever corner kick and penalty specialist. But he was also widely respected for being a true gentleman, and it was said that he was simply incapable of committing a foul. He was the son of the famous baritone singer Emilio Sagi Barba, which is why he was known in the football world as ‘Sagi-Barba’, after his father’s fame. He was also a cousin of the Barça player Armand Martínez-Sagi and of Anna Maria Martínez-Sagi, who was the first female director in Barça history. Thoroughly dedicated to the Barça cause, after he married in 1919 he decided to call it a day, but repented two years later and returned to his beloved club.